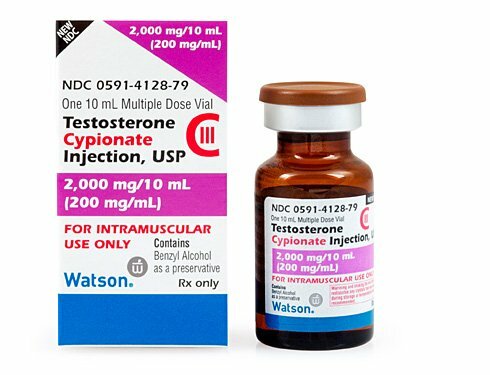 West-Ward Testosterone Cypionate 200 MG/ML 10 ML Vial is a viscous injectable bio-identical testosterone solution that is used to effectively treat androgen deficiency. It is manufactured by West-Ward Pharmaceuticals, which is one of top generic prescription medication providers in the US and is a company that is committed to reliably supplying quality pharmaceuticals that respond to today’s health care needs. 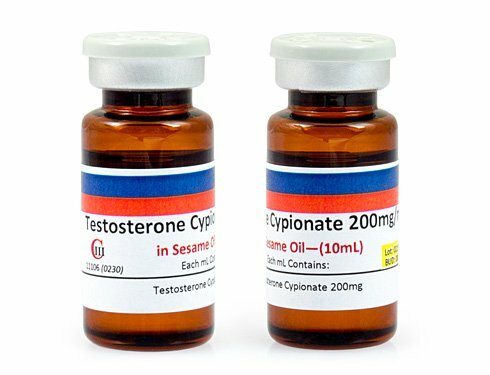 Like all brands of testosterone cypionate, its storage must be protected from light sources and kept at controlled room temperatures as indicated on this product’s drug label information for patients. When used and handled as directed, it is an effective medication for testosterone deficiency. 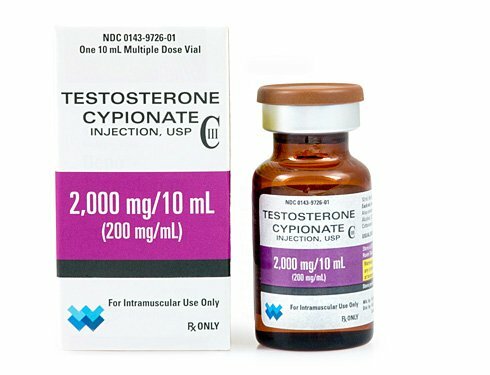 Compounded Testosterone Cypionate 200 MG/ML 10ML Vial is the result of today’s innovative compounding technologies, which allow pharmacists to customize medications based on individual patient requirements. Compounded medications such as this one have received federal approval for medical use by individuals who have obtained a valid prescription for their use. This medication is prescribed for patients with male hormone deficiency or absence, and it conforms to the same standards of quality control and efficacy as the mass-produced pharmaceutical brands. 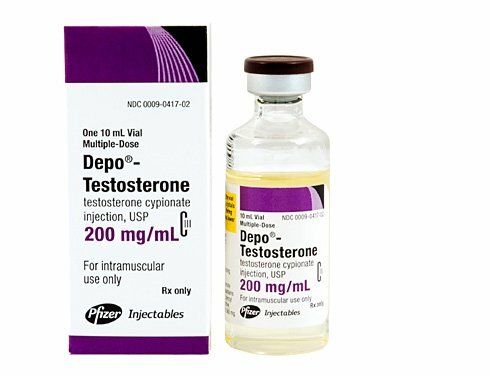 It is accompanied by explicit labeling instructions for patients, as are all federally approved pharmaceutical forms of injectable testosterone cypionate; and this product requires following similar preparation and handling precautions by patients. Researchers have predicted that by the year 2025, approximately 6.5 million men in the US aged 30 – 79 will have developed a symptomatic male hormone deficiency (often called Low T). So this primer on testosterone cypionate: benefits, side effects, uses can be considered an essential lesson in the ongoing learning process for how to sustain your healthfulness throughout your entire life. 2025 is less than ten years from now; and how do you picture yourself at that time in the near future? If you are becoming discouraged and concerned about your present and future vitality because of your Low T symptoms, it might be the right time to find out what using a doctor prescribed program of testosterone cypionate injections can do for you. The molecular formula for testosterone cypionate is C 27 H 40 O3 – but what men really need to know about this pharmaceutically manufacturer version of bio-identical testosterone is why hormone therapy doctors believe that it is beneficial to prescribe it to patients who have been diagnosed with Low T. It is medically indicated for male hormone replacement in hypogonadal patients because it has been shown to effectively increase androgen levels with minimal side effects when used as directed. Acting in the same way as your body’s naturally produced testosterone, this medically prescribed controlled substance promotes and supports a male’s muscle mass, strength, libido, stamina, and emotional wellbeing, among other important physiological functions. So in other words, the use of this treatment can safely, effectively and dramatically improve and even eliminate your chronic and unhealthy Low T symptoms. In addition to the testosterone cypionate benefits, side effects and uses that we’ve summarized above, this form of medical treatment offers other advantages to the patients who utilize it. It is now readily available by prescription from reputable US online pharmacies (this has not always been the case) that can have it delivered to patients promptly and conveniently; it is simple for patients to learn how to properly prepare and self-inject it; and it requires fewer doses than other popular forms of Low T treatment. It is also among the most affordable forms of testosterone replacement therapy (TRT) that any medically qualified patient in the US can use. Your ideal dosage will be determined by two factors: the severity of your condition of Low T and of testosterone cypionate and the frequency with which you will be injecting yourself. Your TRT doctor may have clinical reasons for recommending either smaller and more frequently administered doses or large and less frequent doses for you. This brings up an important point in regard to using the ideal dosage of this medication, which is that a doctor with extensive expertise in prescribing testosterone replacement therapy programs will be able to explain and justify to patients exactly why and how your prescribed dosage is what it is. Another important point related to proper dosing and the testosterone cypionate benefits, side effects and uses is that the ideal dosage recommendations for any patient will be based on providing them with optimal results while reducing any chance for experiencing unwanted side effects. Experienced TRT providers, such as those at Nexel Medical, are going to be familiar with the half-life and other pharmacological characteristics of this Low T medication; this allows them to prescribe the correct dosage for each individual patient. 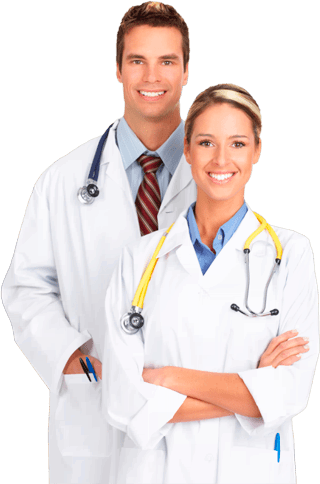 Symptoms and testosterone blood test results are always going to be individually evaluated by doctors like ours who specialize in the treatment of male hormone deficiency, and the dosage will always correspond to a careful clinical evaluation of all of a patient’s health factors, including their current and past health history. Using an incorrect dosage can have a very negative impact on any patient’s anticipated testosterone cypionate benefits, side effects and uses – as can using the prescribed dosage incorrectly. So there are two critical takeaways for men who are considering the use of TRT; one is to make sure that your doctor is one who is experienced and qualified in prescribing male hormone replacement therapy and the other is to faithfully follow your prescribed dosage instructions. These thins are essential to receiving all of the positive benefits that TRT can give you and none of the negative effects that can result from its improper use. A common example of misuse is missing one of your scheduled injections and then doubling the dose of your next scheduled injection. Knowledgeable TRT doctors will generally advise patients to take their missed injection as soon as possible instead of skipping it and then doubling their next dose. And it is always a good idea to contact your provider directly whenever you have any questions whatsoever about using your prescribed dosage correctly. The treatment cycle that a man will use is also going to be determined by his individual requirements. Most men administer their testosterone cypionate injections every few weeks; however, your doctor may decide that it will be more beneficial for you to use them more frequently. Again, the severity of your Low T symptoms and the extent of it (as indicated by your blood test results) are the primary criteria that an experienced TRT physician will be guided by in determining your own cycle of treatments. Keep in mind that after a period of using these injections, your doctor may recommend adjustments to your frequency and dosage instructions after reviewing your latest test results. A critical component of any patient’s testosterone cypionate benefits, side effects and uses is the periodic blood tests that doctors rely on to clinically monitor the progress of their treatment cycle. While the typical course of treatment will run for approximately six months, to be followed by a period off-treatment, your doctor may decide to either shorten or extend your treatment cycle. This is what makes having regularly scheduled blood testing essential to the success of your TRT program; without it, your doctor would have no way of medically determining your optimal free testosterone levels – and it is reaching and maintaining those ideal levels that will provide you with the best possible results. Remember also that using a TRT program is a long-term commitment to your hormonal health. It will be a continuation of cycling on and off your periods of using your prescribed treatments, since this is the only way in which a healthy male hormone supply can be sustained for patients suffering from an acquired testosterone deficiency. Fortunately, the majority of Low T patients find that the many significant physical, emotional and mental performance benefits they receive from their treatment are well worth making this ongoing effort. Many of us know someone who seems to think that they always knows better than their doctors, to the point where they seem to believe that self-medicating themselves is a good idea. Some people take this attitude so far that they will actually attempt to purchase and use injectable testosterone illegally and without any medical supervision. Yet for so many reasons, reasons that would be glaringly obvious to most of us, this is a very bad idea. Even before the Internet existed, some men found ways to get their hands on testosterone medications illegally; they would use them for enhancing their bodybuilding efforts and probably has other reasons for wanting to overload their bodies with synthetic male hormones. However, now that the Internet virtually dominates the age of information and access, it has become much easier for some adults to ignore the proper protocols associated with testosterone cypionate benefits, side effects and uses, and simply go online to purchase it illegally from unscrupulous sellers. This practice is dangerous to anyone’s health; and it is also a practice that has serious legal ramifications from federal regulators. There is only one safe and legal way to use any form of pharmaceutically manufactured testosterone and it is by first obtaining the proper medical authorization and supervision. Testosterone cypionate and all other forms of Low T treatment are powerful substances that when used improperly can lead to the development of serious health issues. Furthermore, it has never been simpler or more convenient for any adult with Low T symptoms to access; and this is also due to the arrival of the Internet. Nexel Medical is just one of many highly qualified and respected medical providers of hormone replacement therapy programs for adults that can now be accessed online. But one of the things that causes Nexel Medical stand out is our innovative process for providing local testing and treatment procedures to patients living anywhere in the US. We have made it extremely simple and hassle-free for adults with Low T symptoms to access the medically prescribed treatment and testing they require; with just a single phone call, any adult can have us schedule a testosterone blood test and physical exam for them and have these two procedures conveniently performed right in their local area. Our patients are also able to purchase their prescribed medications from our online pharmacy safely and securely, which is something that people purchasing testosterone online illegally can never be certain of. We hope you have learned some valuable things about testosterone cypionate benefits, side effects and uses – and if you have any other questions, simply call us and one of our clinical advisors will be happy to answer them for you.